Korea is currently the country with advanced technology and graphics game standing on TOP of the world. We are no longer unfamiliar when Korean games are in the top rankings. Lineage 2: Revolution APK is a game that shows all the best in technology that Netmarble has developed. Feelings of me at the beginning of the game “graphics on a great level.” True to the news and rumors, Lineage 2: Revolution is Korea’s cutting-edge graphics game. Like many MMORPGs, this is probably an MMORPG on PC. This game is based on the Unreal Engine 4 technology, delivering an unmatched MMORPG-quality experience on mobile devices. Like other MMORPGs, in Lineage 2: Revolution, players start by choosing one of the four character classes to start. Character classes include Human, Elf, Dark Elf, and Dwarf. They belong to different genres like warriors, mages, archers. The interesting thing is that this game allows you to change some small details on the character, like hairstyles, clothes. I was impressed with how Netmarble designed the character of the game, very nice and detailed. You will be better by doing the tasks given by the game. Train your fighting skills and unlock all 5 skills through killing bosses and monsters. At the very first minute, Lineage 2: Revolution brought a sense of excitement to the color and sound of the game. In a world filled with monster sounds and death, the only thing you can do is sustain life by killing monsters. Through the mission system in Lineage 2, you will quickly master the action of the game. Over the course of each mission, the amount and experience gained will be spent on upgrading your equipment and buying some accessories that will help you stronger. This game also gives players different experiences such as dungeon adventure, real-time PvP battles, clan wars of up to 60 people at the same time. As with many MMORPGs, the game is available with Auto-Attack for those who are lazy to press. Besides, Lineage 2: Revolution also allows players to fight with their clan. Do you want to Invite your friends to join the game? Another essential feature is that you can chat with your friends in the clan by turning on the mic. Quite fun when we play and can talk to each other, together give directions to fight. In Lineage 2: Revolution is not only good at gameplay but also famous for its graphics. This game is especially well known on the surface with the latest Unreal Engine 4 graphics platform to bring the quality MMORPG experience is not less than the PC on the mobile device. Beautiful 3D design, extremely elaborate and detailed in the game details, grass tops, smoke is very eye-catching. The combo is beautifully launched along with the extremely lively sound effects that make it feel like being in that world. Korea is a place where technology and experience in graphics development are not so strange as this game does. Beautiful graphics are shown during the fighting. By bringing MMORPGs to mobile devices, this game has brought in amazingly well-framed images of what it is. The function keys and controls are also quite intelligent design, making the operation easy on the small screen of the mobile device. 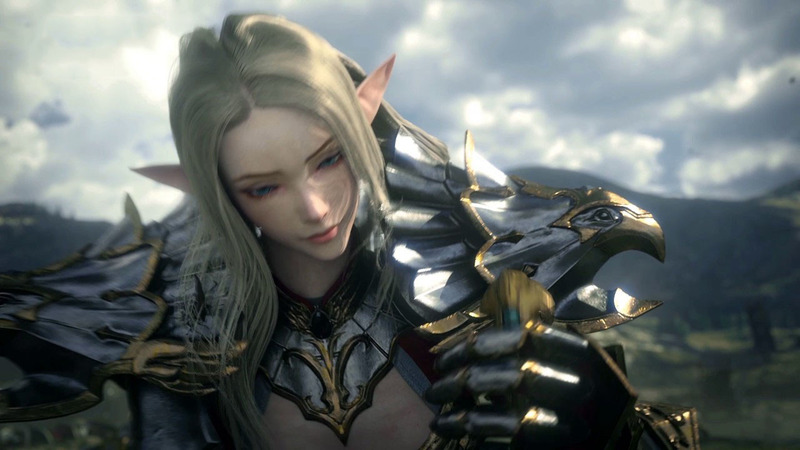 Lineage 2: Revolution is an excellent game in terms of gameplay and graphics. Called the best graphics game ever by Netmarble, the game has brought a lot of success when it debuted, bringing in $ 176 million in its first month in Korea. There are probably a lot of things that I have not mentioned in the limit of the review. The download is free, you can experience it by downloading via our links below.